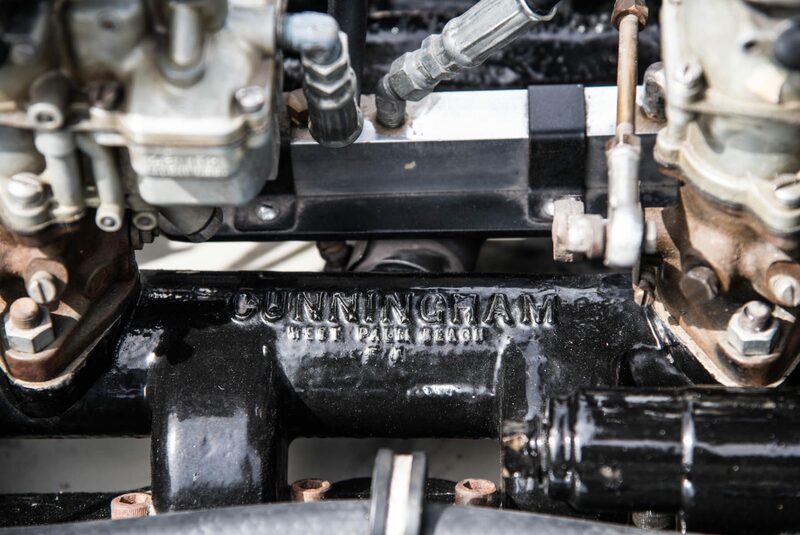 The Cunningham C3 was to be the only non-racing car ever built by Briggs Cunningham and his team, and it only came about due to a last minute rule change to enter the 24 Hours of Le Mans in 1953. 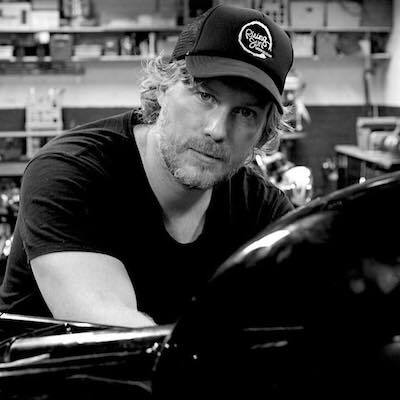 This new rule called for all entered cars to have a production run of at least 25 units, and Briggs saw it as an opportunity rather than a problem – his racing team had been spending a huge amount of money, and he’d be able to make a few dollars back by selling cars with his name on them. 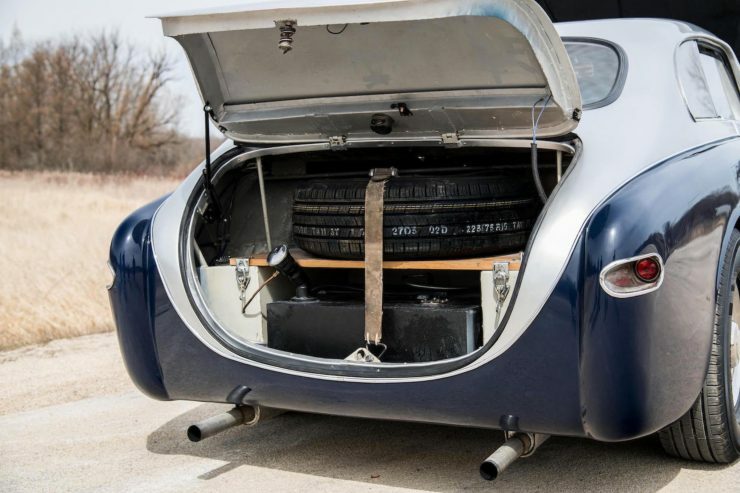 Briggs and his engineering team decided to use the stiff, lightweight tubular steel chassis, with independent coil-spring front suspension and live axle rear end that they’d already developed for the Cunningham C2R. 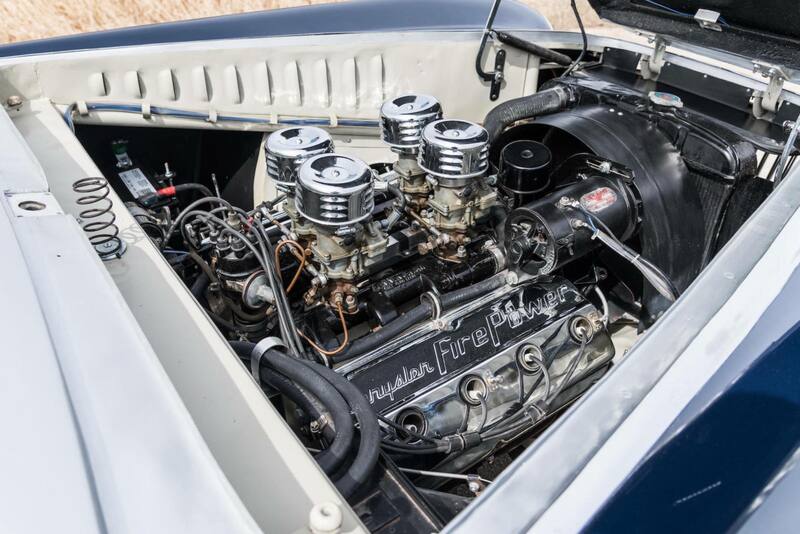 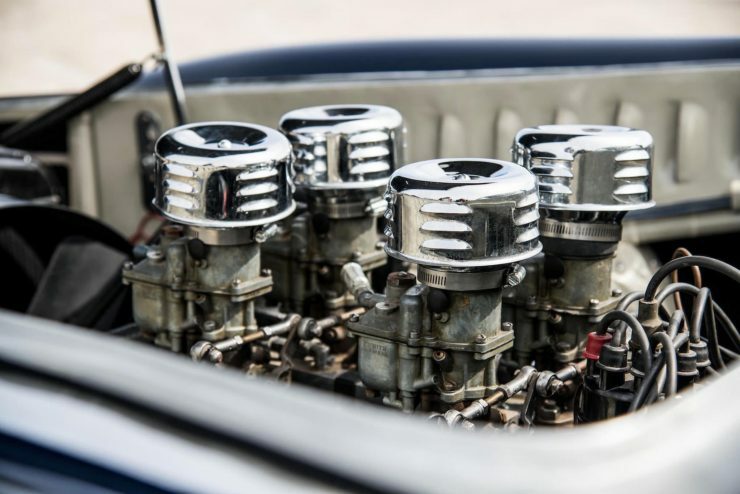 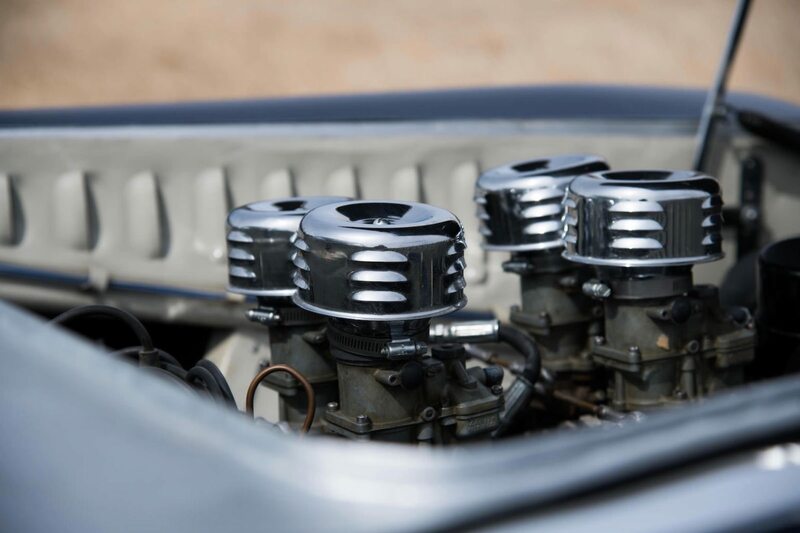 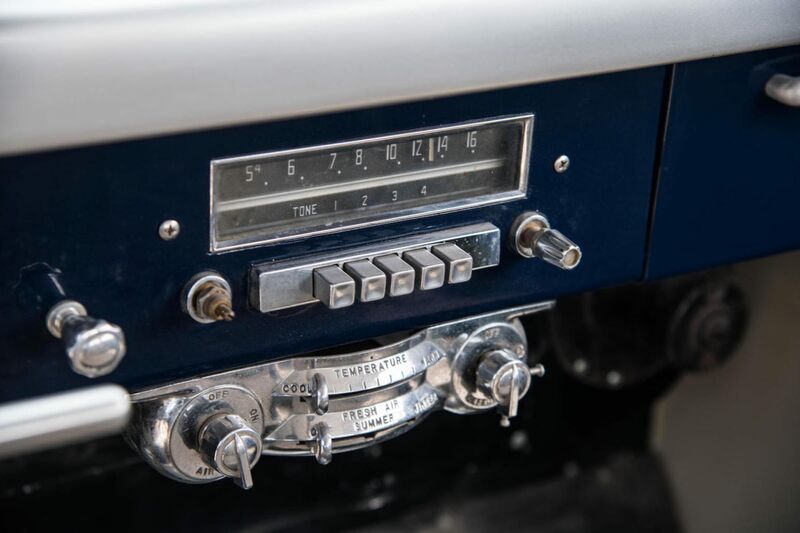 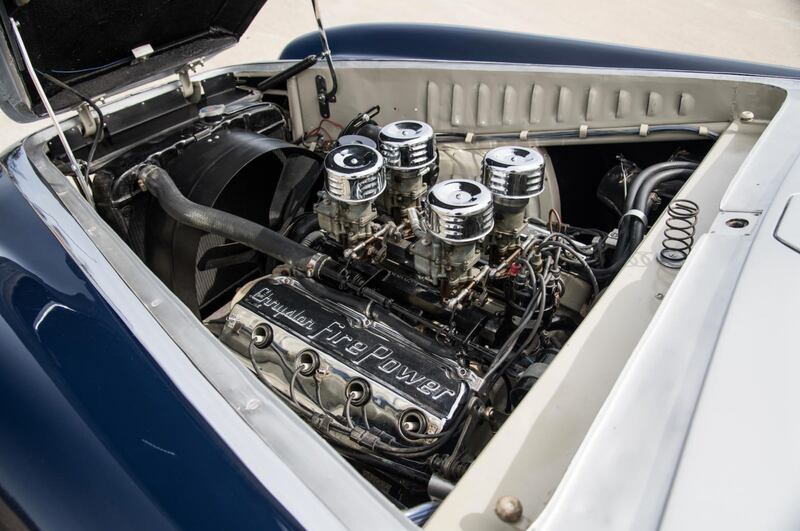 Power was provided by a 331 cubic inch OHV Chrysler Hemi V8 with four Zenith single-barrel carburettors, and power is sent to the rear wheels via a Cadillac manual transmission or an optional semi-automatic. 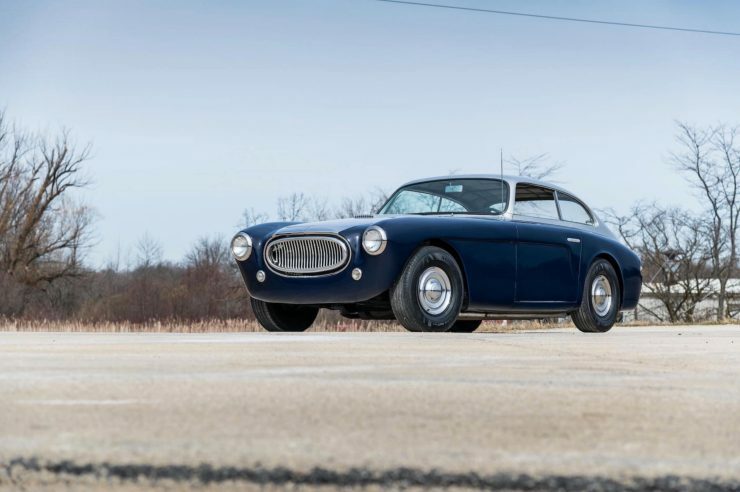 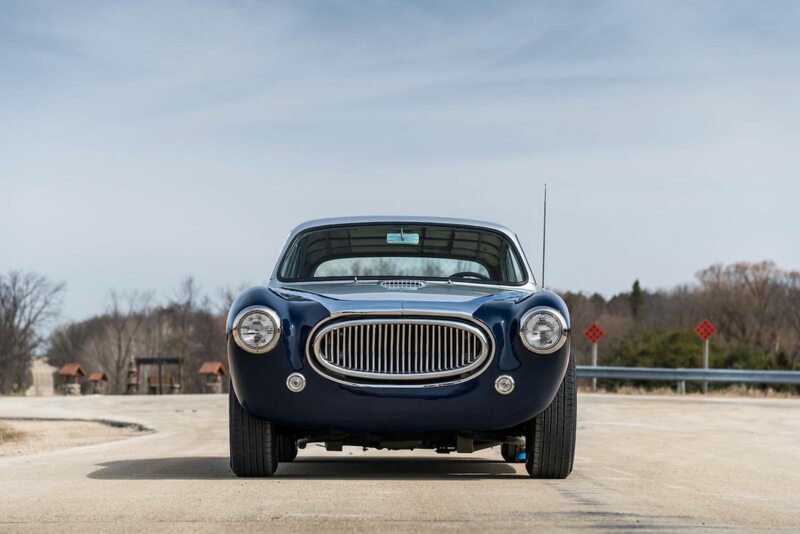 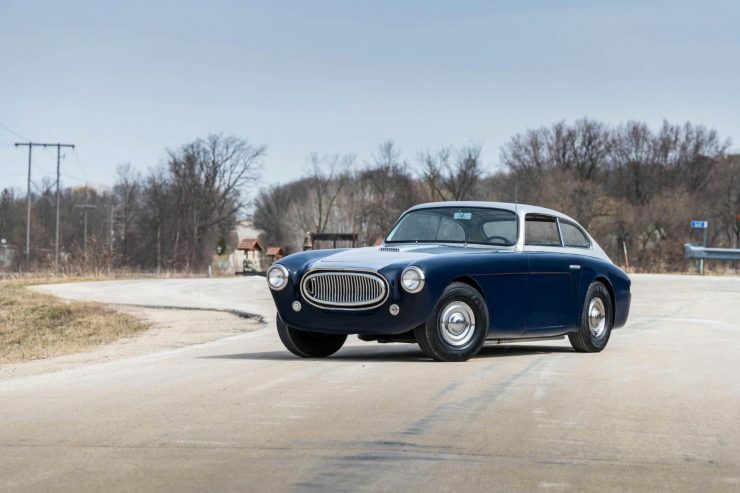 When it came to styling the body of the Cunningham C3, Briggs turned to Giovanni Michelotti. The brief was simple, it had to be better looking than the Ferraris and Jaguars that it would be competing against, and it had to be as aerodynamic as possible. 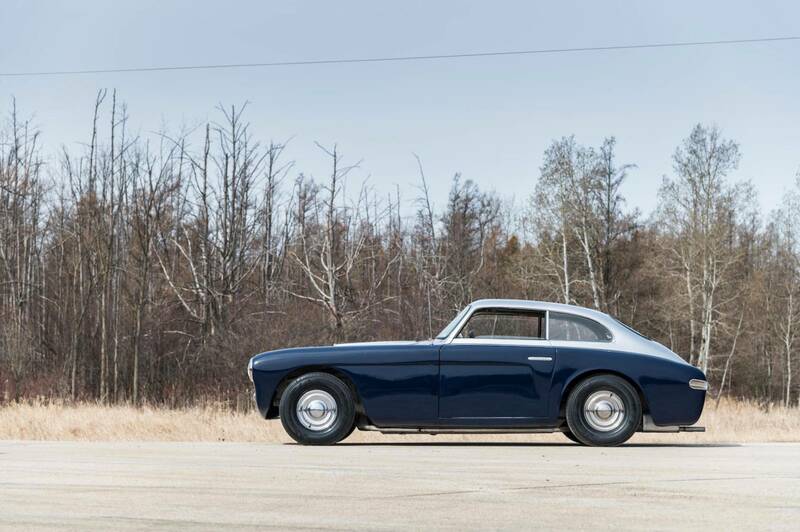 Carrozzeria Alfredo Vignale was chosen as the coachbuilder, and the completed rolling chassis were then finished in the USA. 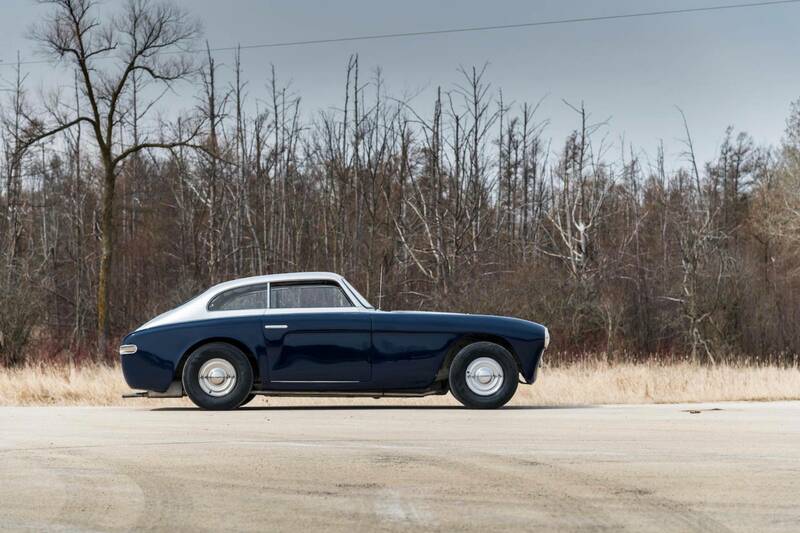 The most significant problem faced during the limited production run was the time it took Vignale to build each body. 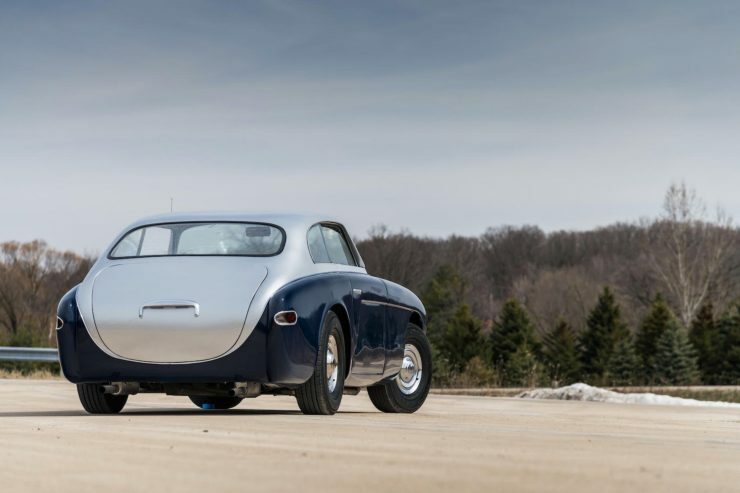 The Cunningham team could build a rolling chassis each week, but the coachbuilder took as long as two months to shape the body from sheet metal using traditional techniques – and refusing to cut corners. 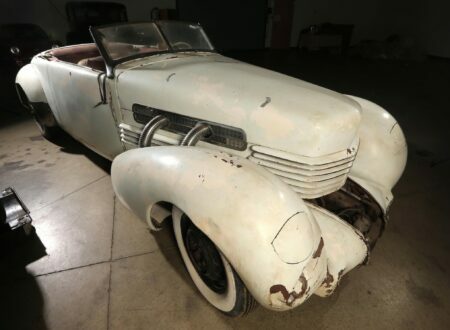 The car you see here is a survivor, it had a hard life and spent decades in disrepair before finally ending up in a junkyard. 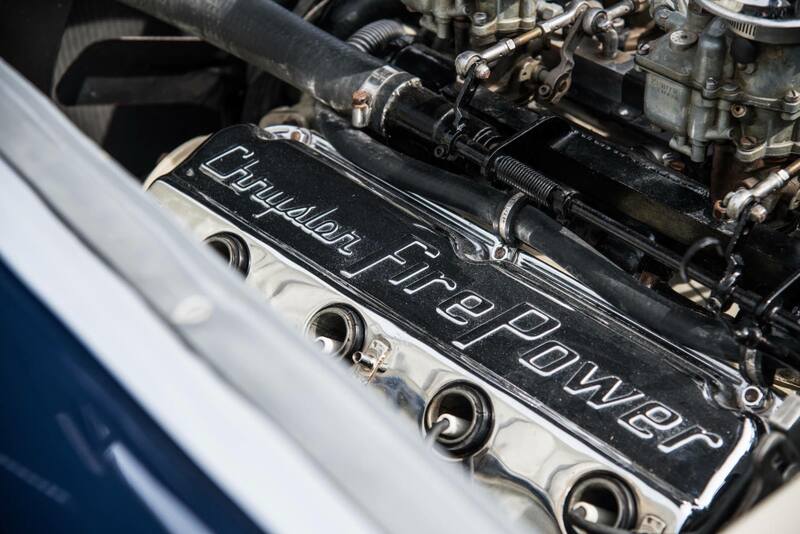 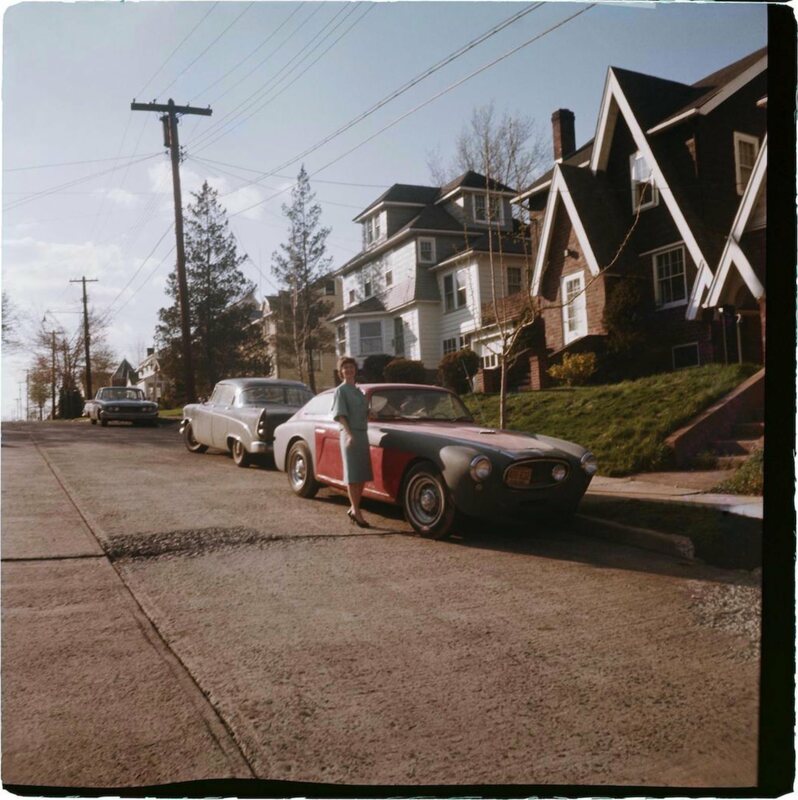 Thankfully it eventually ended up in the hands of a collector who spent 20 years collecting parts needed for the restoration, including a correct Chrysler Hemi V8. 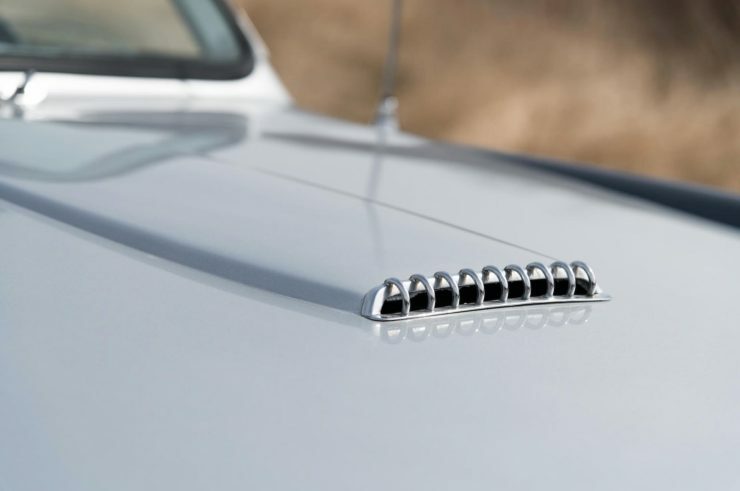 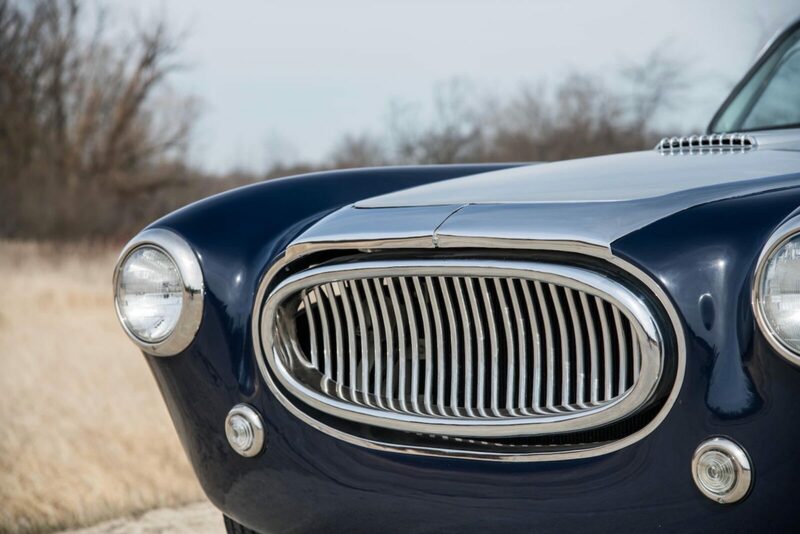 Many of the original badges and grilles were impossible to source, so they were fabricated by International Restoration in Oaklawn, Illinois. 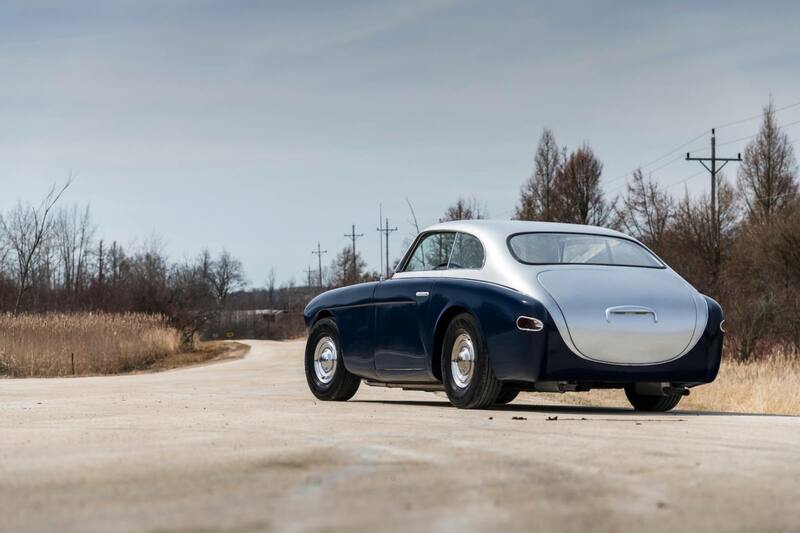 Obermeyer’s 41 Auto Body in Allenton, Wisconsin separated the body from the frame and completed a full rotisserie restoration with all-new paint. 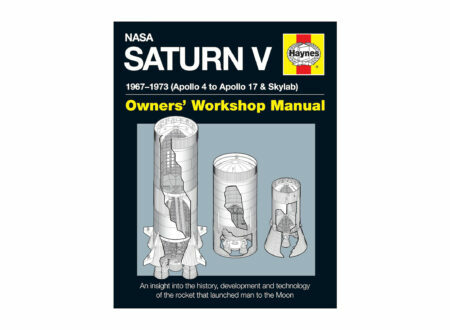 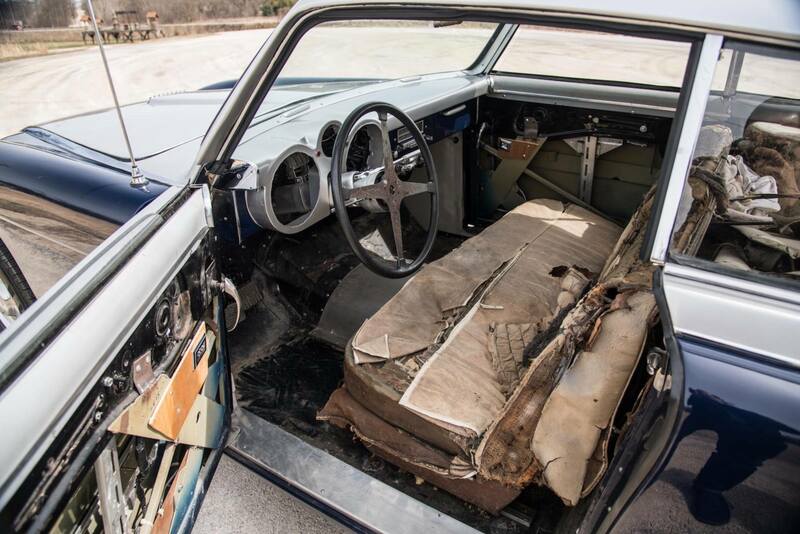 The only item left needing restoration now is the interior – it’s not useable as it stands today but the overwhelming majority of the hard work involved in a restoration has been completed. 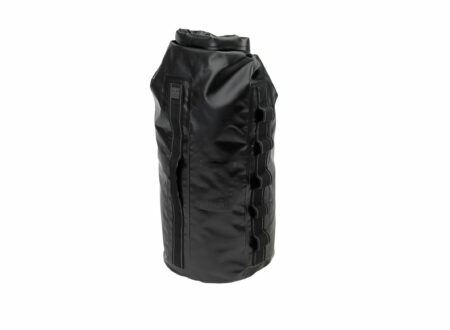 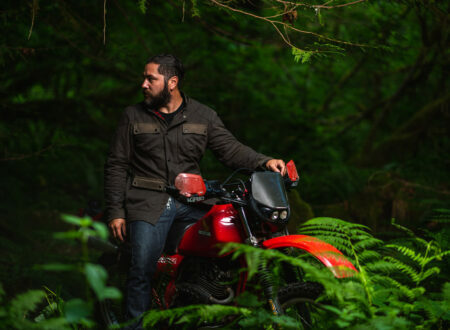 The interior has been left as is deliberately, as it will allow the next owner to take samples and match the materials as closely as possible. 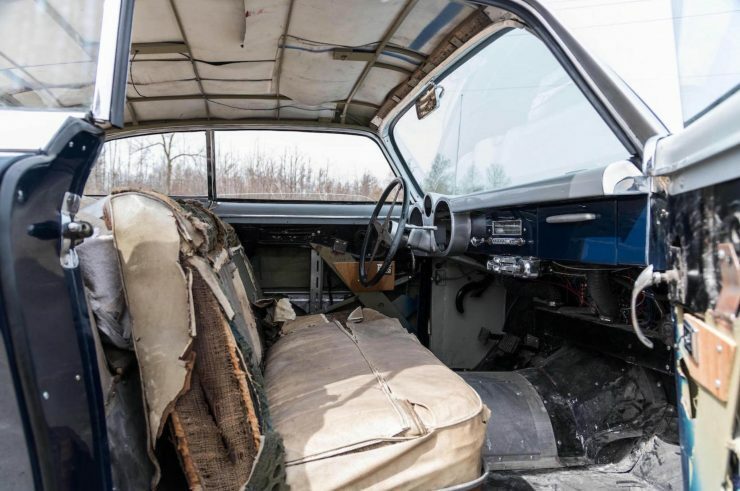 A good automotive interior specialist would make quick work of the job, and return the car back to its former glory in as little as a few weeks. 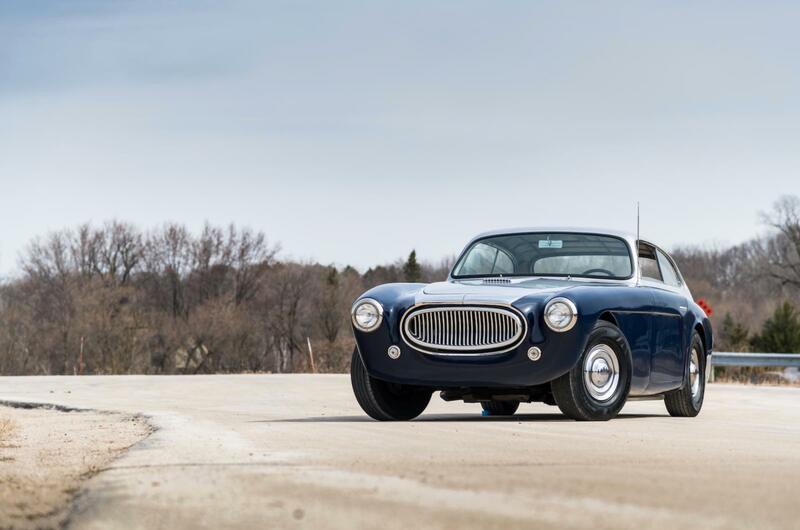 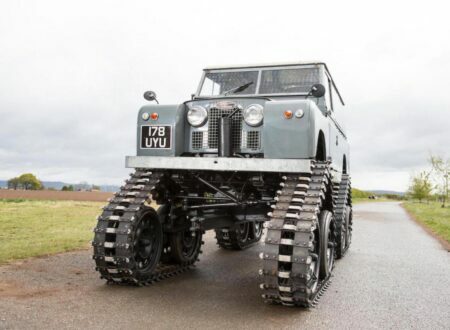 If you’d like to read more about this car’s history of register to bid you can click here to visit Bonhams. 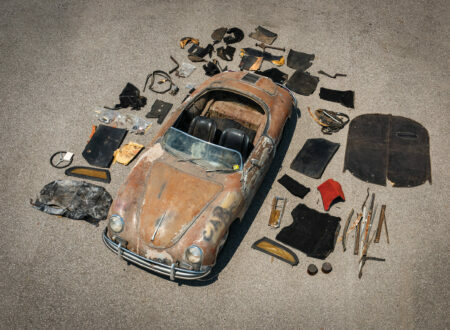 It’s due to be auctioned on the 3rd of June, with an estimated hammer price of $300,000 to $400,000 USD.